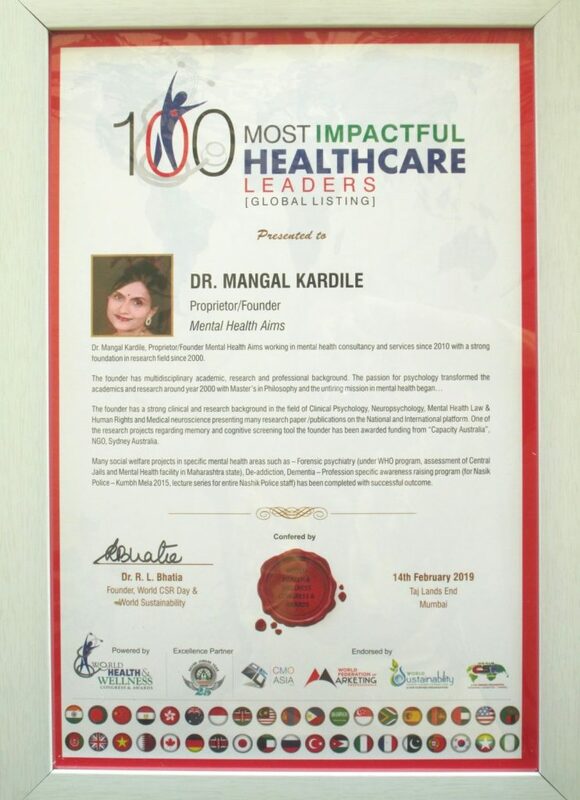 Congratulations to Dr Mangal Kardile being recognised with a recent award as one of the “100 MOST IMPACTFUL HEALTHCARE LEADERS [GLOBAL LISTING]”. 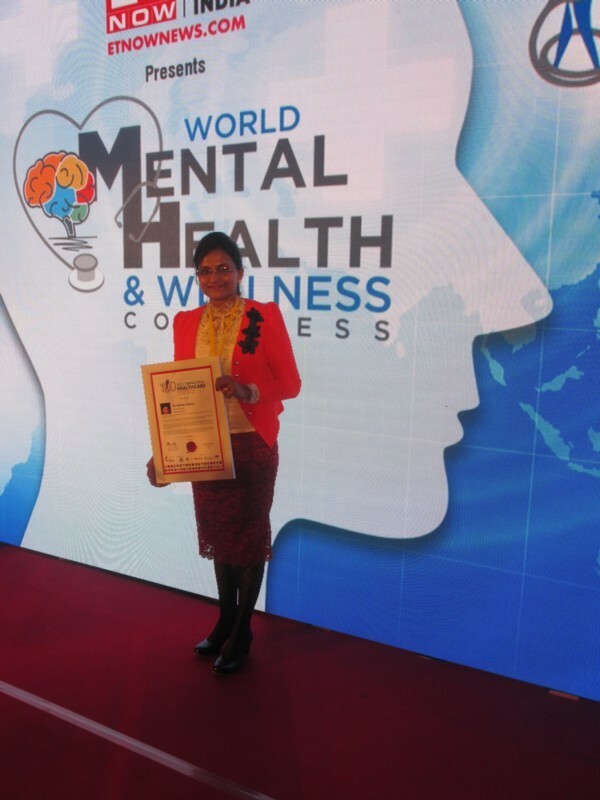 The awards were held on 14th February, 2019 by World Mental Health and Wellness Congress at Taj Lands End, Mumbai. 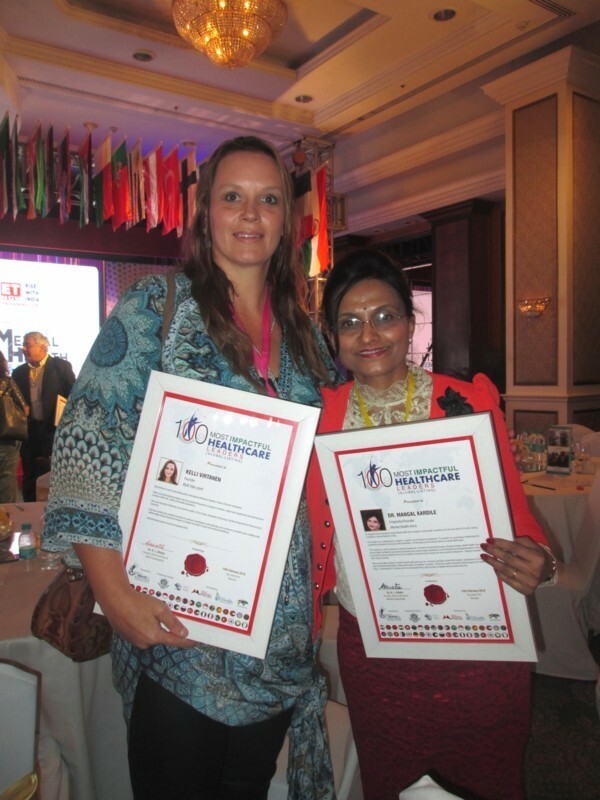 Dr Kardile is an international partner of Capacity Australia, founder of Mental Health Aims and former recipient of CA education and research support investigating elder abuse in India.